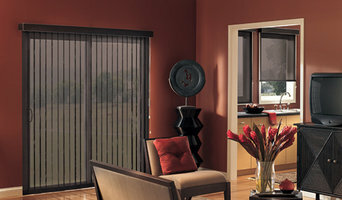 Sales, service and installation of all window treatments. Specializing in window treatments, Valances, Draperies, & Sheers Blinds, Shades & Shutters from Hunter Douglas Custom Bedding, Pillows & Canopies Upholstery Home Décor~artwork, mirrors, accessories, lamps, accent furniture, & floral designs. VISIT OUR SHOWROOM & STUDIO Interior design for your home or work place. 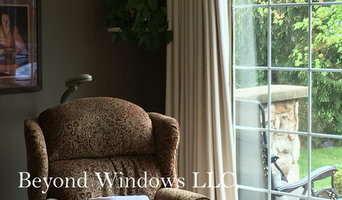 Jennifer became Beyond Windows LLC in 2010. A custom work room creating window treatments and soft furninshings. Jennifer’s love of fabrics and design came to her at an early age, watching her mother create curtains for her childhood home and costumes for Jennifer and her siblings. At the age of 14 Jennifer took a fashion class that was offered through her high school, she quickly realized she had a talent for sewing. She graduated with outstanding achievements and went on to Design School where she graduated with a fashion degree and awards for best suited for production and overall desgin. Jennifer worked for JoAnn Fabrics as she put herself through school. As the fashion industry was shrinking in Philadelphia Jennifer decided to continue her career with Jo-Ann’s managaing many locations in New Jersey and Pennsylvania. In 2000 Jennifer left her retail career to start her family which was a dream come true. Once at home, Jenifer did what her mother did and began to sew for her children and her home. Soon family and friends were asking her to sew drapes and valances for them. Word soon reached the ears of designers and Jennifer began creating for designers and friends of friends. Education is an important part of any successful business. So Jennifer enrolled in several classes at the Custom Home Furnishings Academy (CHF) in NorthCarolina between 2009 and 2010. Today Jennifer continues her education through the Window Coverings Association of America (WCAA). She is the current Vice President of the WCAA-South Eastern Pennsylvania (SEPA) chapter and a past treasurer. At Best Drapery and Design you will find more than great window coverings. Whether you are shopping for a single window treatment, redecorating your entire house or seeking the solution to a complex design challenge, you'll find great people who have the knowledge and expertise to help you put it all together. We proudly serve Cherry Hill, NJ and the surrounding area. Since we're locally owned and operated, we take our long-term commitment to the community seriously, and we are proud of the professional products and services we provide. Established in 2004 as a creator of custom window treatments, bedding and accessories, At Home Designs of Hockessin, Delaware has grown into a beautiful showroom complete with custom upholstered furniture, design services, and a Hunter Douglas Window Fashions Gallery. Margie Booth, founder and president of At Home Designs, believes there is real value and beauty in the basics. “Good design begins with a good plan; the foundation layer is essential in creating beautiful and lasting interiors.” Margie has over two decades of experience in the home fashions industry. The passion for her work and her hands-on approach is reflected in the continued growth of At Home Designs. KQ Environmental Services is a house cleaner / cleaning service serving the Camden, NJ area. Services include Cleaning, Deep Cleaning, Floor Cleaning, House Cleaning, Maid Service, Move In Move Out Cleaning, Office Cleaning and Window Cleaning. Serving towns of Philadelphia, Wilmington, Camden, Cherry Hill, New Castle, Woodbury, Bear, Merchantville, Moorestown, Elkins Park, Maple Shade, Collingswood, Kennett Square, Riverton, Haddonfield, Pennsauken, Claymont, Hockessin, Oaklyn, Gloucester City, Bellmawr, Audubon, Westville, Somerdale, Bala Cynwyd, Wenonah, Runnemede, Haddon Heights, Stratford, Palmyra, Cheltenham, Magnolia, Thorofare, Mount Ephraim, Barrington, Glendora, National Park, Woodbury Heights, Lawnside, Christiana, Blackwood Terrace, Brooklawn, Cinnaminson, Delair, Deptford, Haddon Township, Hi Nella, West Collingswood, West Collingswood Heights, West Deptford, Westmont, Woodlynne, Belmont Hills, Lamott, Manayunk, Melrose, Melrose Park, Mid City East, Mid City West, Middle City East, Middle City West and Phila. Flood Damage Pro offers a complete water damage restoration solution for Towson and the surrounding areas of Baltimore County. We repair water damage and fire damage, as well as providing expert mold remediation services. Call us 24/7 for immediate assistance. Carpet Cleaning Towson MD offer professional carpet, rug & upholstery cleaning, air duct cleaning, water damage restoration and more. 100% satisfaction guaranteed! Call today for a free estimate. Flood Damage Pro of Baltimore offers rapid response for water damage emergency to the entire City of Baltimore. For more information or scheduling your free on-site price estimate call us at 410-469-1740. 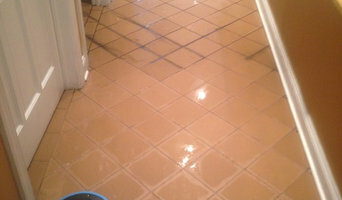 We provide complete water damage clean up & restoration!